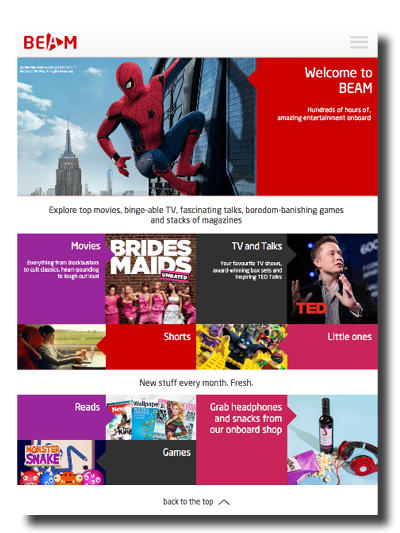 Virgin Trains launched BEAM, their complimentary onboard entertainment service, giving passengers access to hundreds of hours of the best films and TV box sets, from classics to cult viewing. Filmbankmedia provides the vast majority of the content on BEAM from launch to today. Working closely with the commercial and design teams at Virgin Trains, we assist in the creative development, advising on creative concepts, supply creative assets and provide a quick and efficient approval process for all the studios we represent. In addition, Filmbankmedia manages the content curation for the site and supplies the content via digital files in English and subtitles where available.